After my March battle with pacreatitis, I'm on a no-fat diet and am 22 pounds now. However, for treats I've always loved carrots and frozen organic green beans. The vet says that they're great for me. Get a little package of frozen (canned are yucccchy) green beans and I'll be over in a jiffy. I eat them frozen and they're especially great in the summer. Marlee was the runt of his litter. He is still small. He weighs in at only 18 lbs. He's 4 years & 7 months old. He eats well. 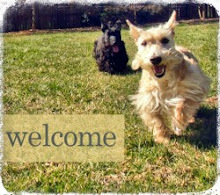 (No dog food - eggs for brekkie, boiled boneless/skinless chicken thighs, rice, & veggies for lunch & supper, & fruit or cheese for treats.) His V E T says he's just a small Scottie. Good luck Mr. K!! Well, congratulations to all of you so far! Keep up the good work! Tessie weighs 34 pounds.....AHEM!..The Vet said...no more. She ((IS)) a big Scottie...while her sister Scottie weighs 17 pounds. Tessie goes for Runs and plenty of walks..but she still tends to put on weight so we have to be careful. Ideally,she should weigh...like 30 or 25 but that will never happen. Talloulah our little Westie stays between 20 and 21 pounds..and usually stays the same. Tessie smells food for miles. She loves all the fattening bad things she shouldn't be eating. I don't feel sorry for her..I want her to be healthy..not arthritic or sick in any way. Sometimes...actually a lot of times I catch Dad giving her cheese..and other bad snacks she....of all our dogs should NOT be eating...It's hard...but we have to be strong and think of having them healthy down the road. Mr K...Your Mom and Dad love you very much.....that's why they're doing this! 2 pounds should be a pretty easy fix- he is so good looking surprised he needs to lose. So happy you are getting your own place! Guess it is up in the area you talked about nearer your work- hope the move works out great- the pups will love not being in a high rise- more to see and bark at like my guys!! I was just wonder what flavor you feed MR K as my Sweet Pea is so sensitive and right now we have him on a Vegan diet but would love to try something else. We tried the Lamb & Rice and it worked for awhile but the itching came back. Good luck, Mr. K - I'm always close to the limit - diets are very hard stuff. Mr. K is in good shape... 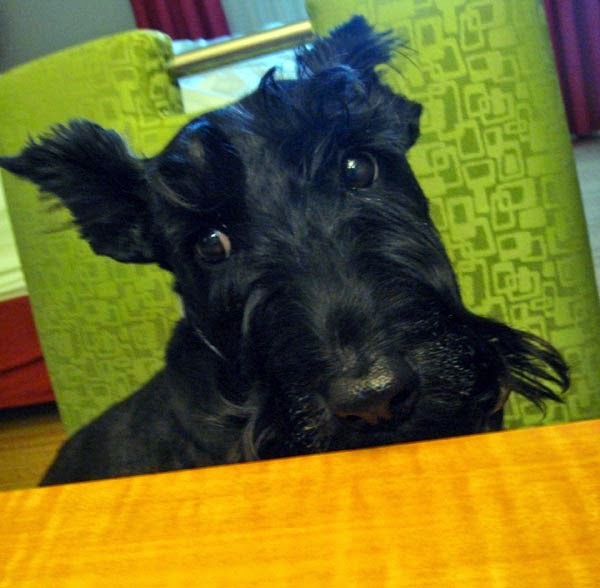 The Scottie we are rescuing (Wally, from Scottie Rescue Tennessee) weighs in at 38 pounds! We have lots of work to do....Maggie is only 17pounds! lndy Scottie Mom! I didn't knew you were the one taking Wally!! So exciting! I have several photos of him from our trip to Tennessee. I was going to write a post about him to help him find a home. He is a cutie! So happy to hear he has a loving home. Keep us posted on how he's doing. 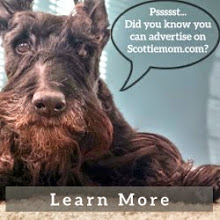 Much love, The Scottie Mom.